Save up to 10% off gate prices! 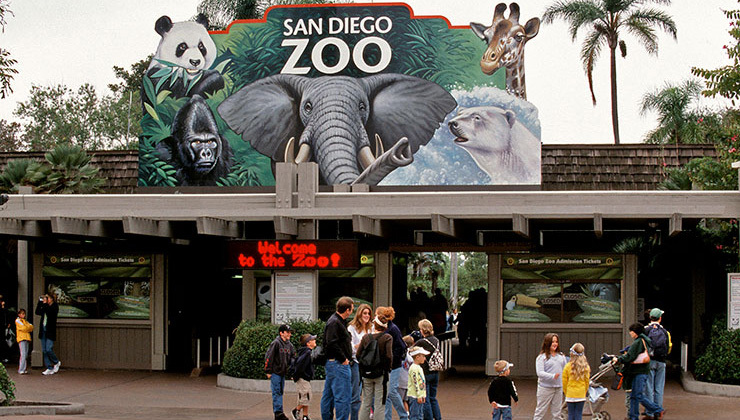 The San Diego Zoo is known for lush, naturalistic habitats and unique animal encounters. The Zoo is home to more than 4,500 rare and endangered animals, some found in no other zoos, as well as a prominent botanical collection with more than 700,000 plants. Learn about animals from all over the world and have fun doing it. Your deluxe ticket package includes: one-day admission, a guided bus tour, Express Bus, and round trip Skyfari! Our tickets include coupons and offers to various stores and restaurants in Southern California, printable gifts and vacation craft ideas. Over a $400 value!